Benedict Cumberbatch as Sherlock Holmes. © Robert Viglasky/Hartswood Films and BBC Wales for BBC One and MASTERPIECE. The BBC has announced Wayward Pines actor, Toby Jones, is joining the fourth season of the Sherlock TV show, which airs on PBS in the US. Get the whole story from the BBC. Toby Jones (The Secret Agent, Marvellous, The Girl) is confirmed to star in the next series of the multi-award-winning hit Sherlock, produced by Hartswood Films for BBC One. Toby will star in the second episode of the brand new three-part series, which starts filming today. Episode two will be directed by Nick Hurran, who was Emmy nominated for Outstanding Directing for a Mini-series for ‘His Last Vow’ series three Sherlock episode. Promising laughter, tears, shocks, surprises and extraordinary cases, it was announced last month that series four will begin – with the nation’s favourite detective, the mercurial Sherlock Holmes, back once more on British soil – as Doctor Watson and his wife, Mary, prepare for their biggest ever challenge – becoming parents for the first time. Sherlock is written and created by Steven Moffat and Mark Gatiss, and inspired by the works of Sir Arthur Conan Doyle. Sherlock is produced by Sue Vertue, and the executive producers are Beryl Vertue, Mark Gatiss and Steven Moffat for Hartswood Films, Bethan Jones for BBC Cymru Wales and Rebecca Eaton for Masterpiece. It is distributed internationally by BBC Worldwide. What do you think? 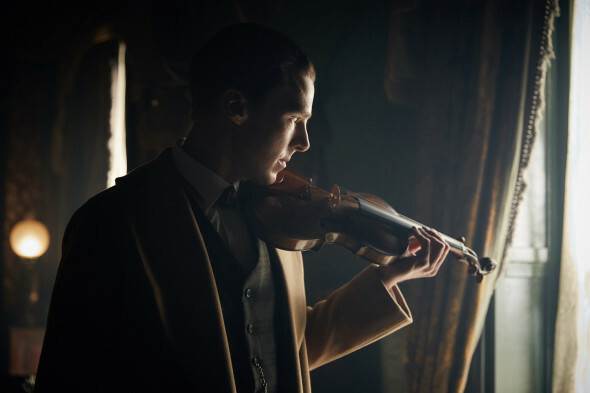 Are you getting anxious for the fourth season of the Sherlock TV series? Do you think it will be the final chapter, or will Sherlock be renewed for a fifth season?